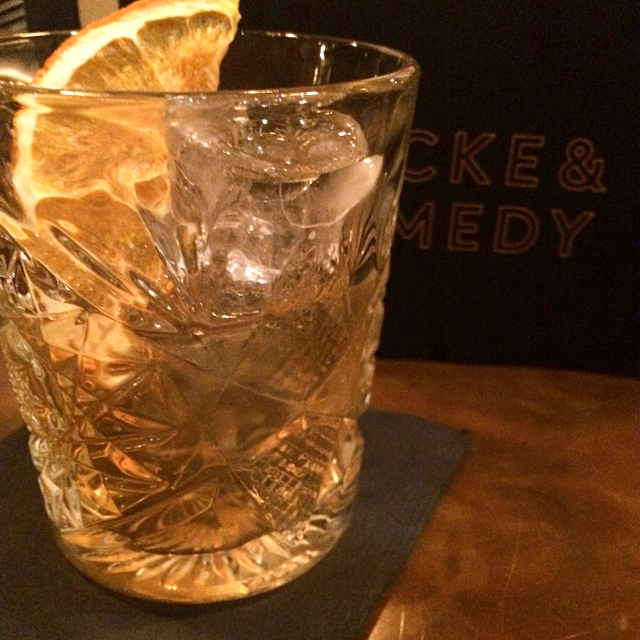 If you're looking for somewhere to fill your boots and recuperate after a mad last minute Christmas shop, then look no further than Locke & Remedy. Having taken over the old Cardiff Library, it is currently surrounded by the cute Christmas huts that adorn Cardiff each year. The lovely folks at Locke & Remedy invited me and a few other blogger friends to spend an evening with them to check out their new Christmas menu. A night of festive food is not something to be missed, so I headed on down and grabbed a cocktail. This Christmassy concoction was a beauty, a spicy take on a traditional favourite, a cinammon old fashioned (£7.95) Garnished with dried orange and served in the most amazing (and surprisingly heavy) glass tumblers, this is just what I needed to get me in the Christmas spirit. I'd imagine it'll be just what you need too, after an afternoon fighting the crowds. 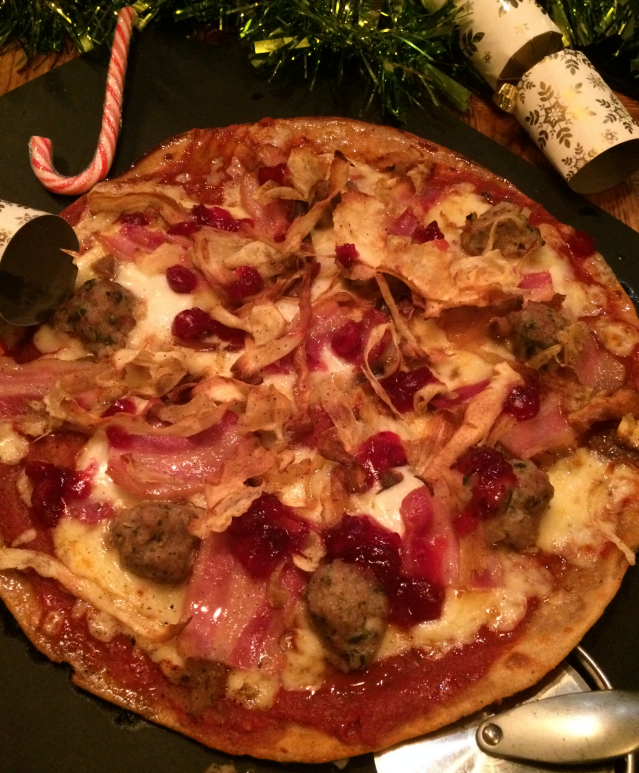 The food started to arrive thick and fast, and we all clambered to grab a slice or two (or three...) of the newest winter addition, the festive pizza. 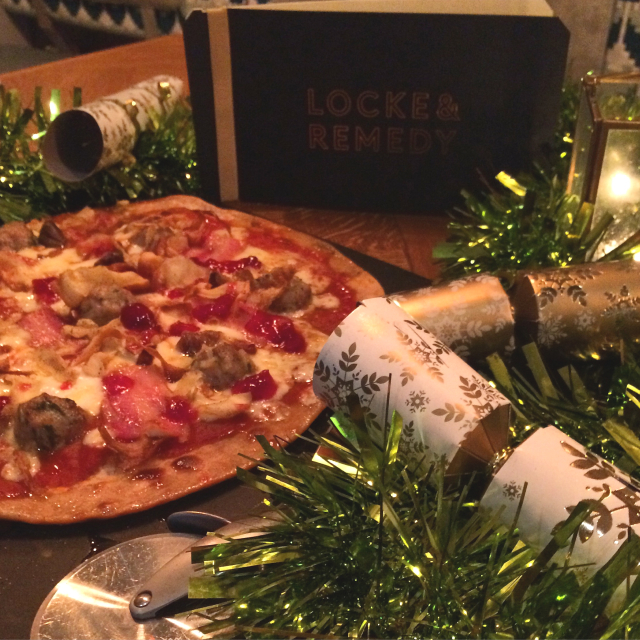 A crisp thin crust, topped with plenty of cheese, maple bacon, chestnuts, cranberry sauce, pork & sage stuffing and some parmesan crisps. Phew. If I'm completely honest, I wasn't exactly sure how well a festive pizza would work. But oh man, it does. It's a hefty pizza, piled high and filled to the edges. The sweetness is counteracted perfectly with the chunky stuffing balls and salty bacon, and I had to hold myself back from eating until I burst. At £10.95, I think this is great value, considering it's enough for two and practically an entire Christmas dinner on a pizza. It's a good job I had a little restraint with the pizza, as no sooner were they polished off the burgers came flying out of the kitchen. 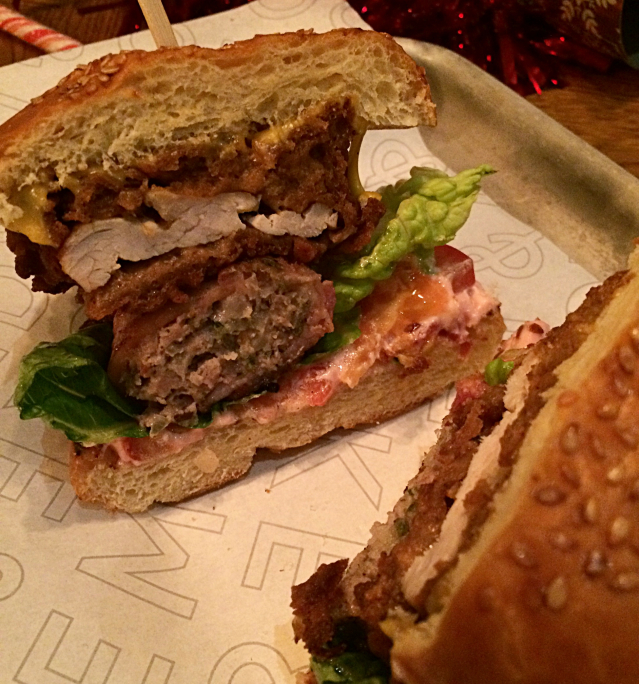 A spiced buttermilk fried turkey breast and a bacon-wrapped pork and sage stuffing patty on a bed of lettuce and cranberry mayo (£9.95) It just about passed my burger test of fitting in your mouth in one go, with a bit of squishing. It really is a thing of beauty, and I can't wait to go back and get another one. 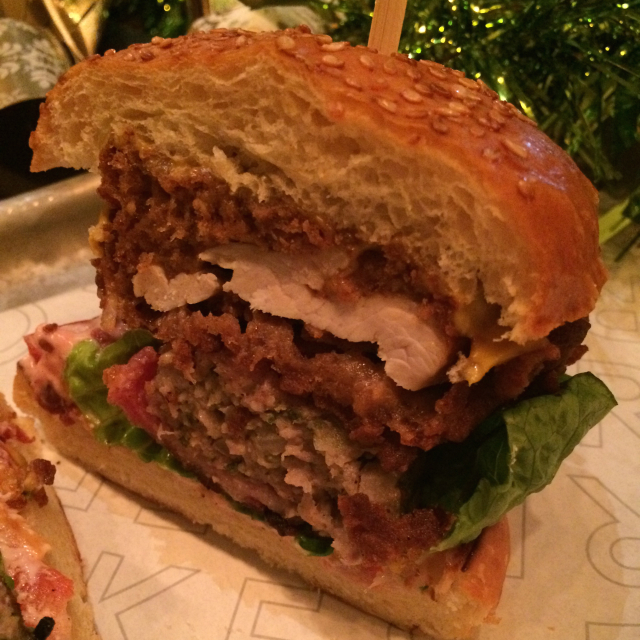 The crunchy coating surrounding the turkey breast is by far the best thing about the burger. The spices are just enough to give it that hint of ginger, cinnamon and all things Christmas without being overpowering. Colonel Sanders has got nothing on this batter. After all that food, I needed something to cut through it all, and the fab mixologists behind the bar have come up with the perfect mocktail. 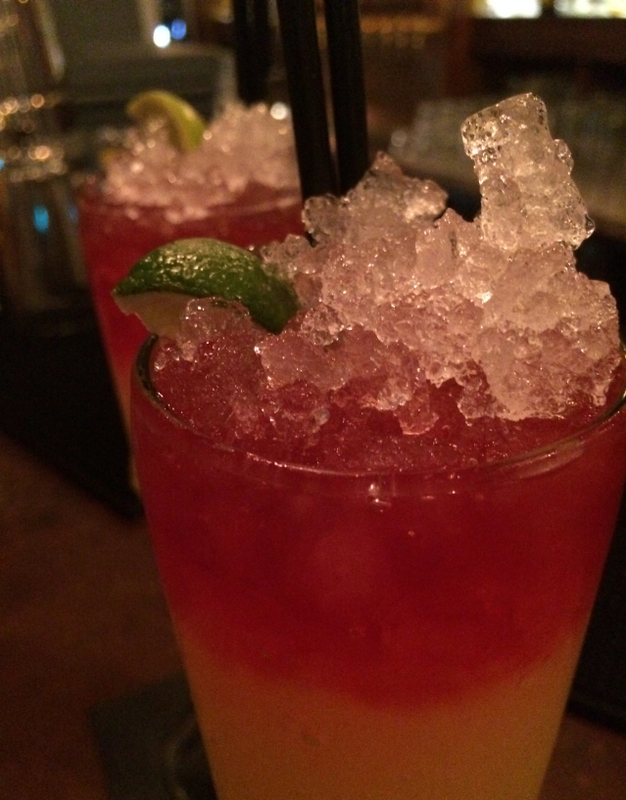 This passion fruit cooler is not only one of the prettiest drinks around, but also the right amount of sharpness after all those carbs (£3.95)! Great for after dinner, but also for on those nights where you want to join in with the fun, without the headache the next day! L&R's cocktail menu takes some beating. I've made my way through a few by now, and I've not come across a bad one yet. So far, my favourite is a Sailor Hydration (£7.95), which is basically a Caribbean holiday in a glass. What I love most about Locke & Remedy is their short and succinct menu. It consists of a handful of burgers, pizzas and fries, and it does them all extremely well. 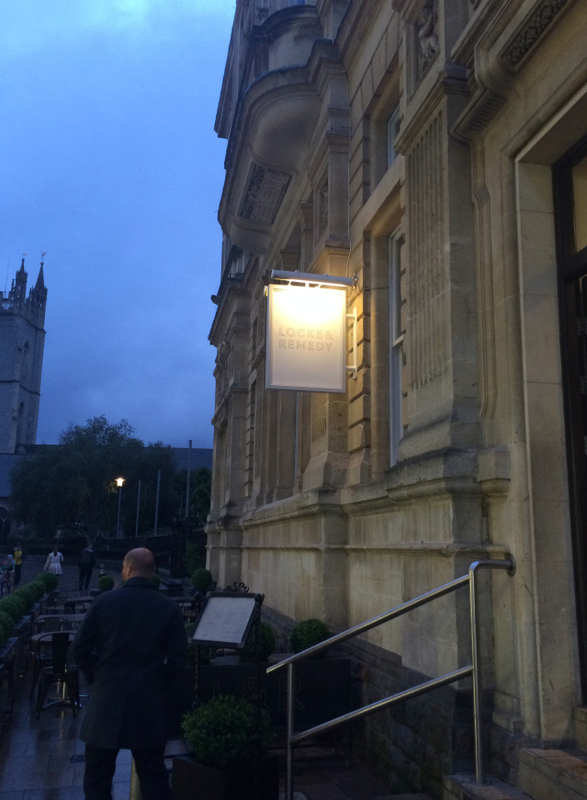 There are so many places with an extensive menu but an average taste, so L&R really shines. There's also great deals on throughout the week, and they're currently running a deal of a pizza and a bottle of wine for £15. Perfect date night! 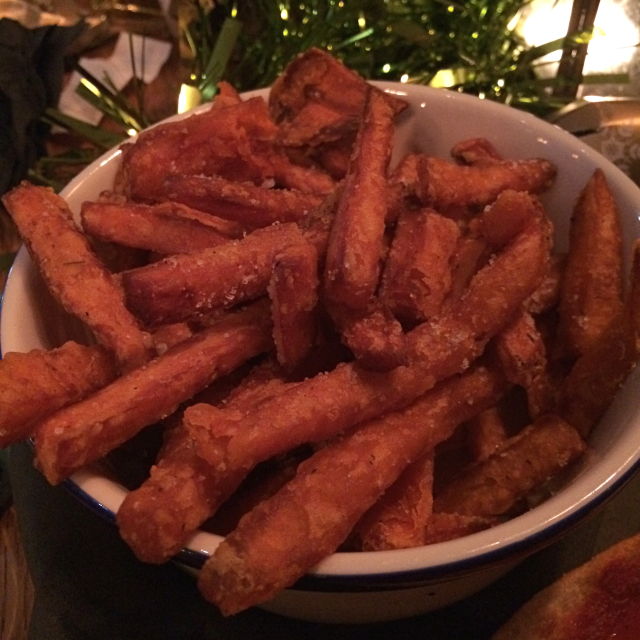 And they do the best sweet potato fries in ALL THE LAND. Period. How are they so crunchy? 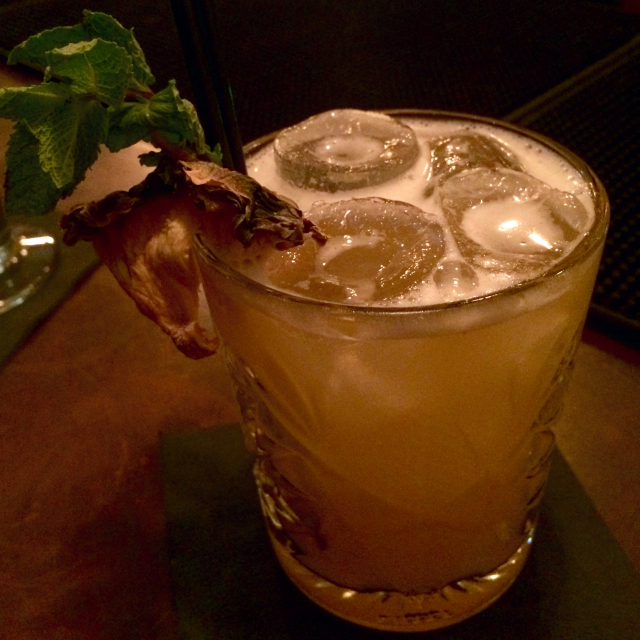 DISCLAIMER: I was invited to Locke & Remedy as a guest, and all food and drink was complimentary. However, all opinions are my own and unbiased. I'm Sara, a twenty-something foodie based in South Wales. A big lover of food, wine and adventure. Even better when all three are rolled into one.